View the results of the quick poll here. Council is proposing to build a junior basketball court at Coral Sea Park, Maroubra. 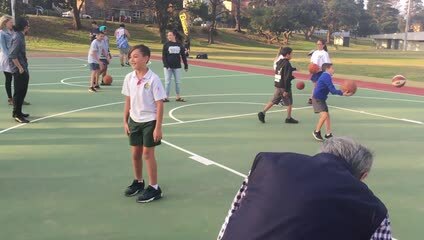 The installation of the court is in response to numerous community requests for an outdoor basketball court to complement the recreational facilities already enjoyed by the local community in Randwick City’s parks. Coral Sea Park has been chosen as the most appropriate location for this new facility. As part of the project Council will also upgrade landscaping and install additional outdoor furniture. We want to know if you support the building of a basketball court at Coral Sea Park by simply voting “yes” or “no” in the quick poll below. You are also invited to share your thoughts on the project. Do you support Council's plan to build a junior basketball court at Coral Sea Park, Maroubra?